← Marching into spring with great success! Olympia Fencing Center is a proud supporter of fencing in schools. We believe that every fencing club in the country should go above and beyond to make fencing more popular among the school-age students. Cambridge Montessori and Vassal Lane Upper School, in Cambridge and Dexter Southfield, in Newton, MA, are a few of the schools where we ran fencing camps and programs over the past years. And there come the high schools! 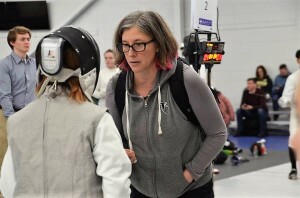 In 2014, a small group of more advanced fencers, Cambridge Rindge and Latin School students, approached Angélica Allende Brisk, CRLS teacher and an adult competitive fencer at Olympia Fencing Center, to start a team that would allow these fencers to represent their school and introduce more students to the sport. Both current teachers at Olympia Fencing Center, Angelica (or Brisky, how she likes to be called) and fellow Olympia club member George Scott, a former Boston College Epee Coach, agreed to support the students and help set up the team. Soon, Olympia Fencing Center came in place to allow the CRL team to hold weekly practices and meets at its location, across the Fresh Pond, in Cambridge. The location is ideal for the students to get here via train, bus, bike and carpools and has enough space to run saber, foil and epee practice at the same time and even host meets. 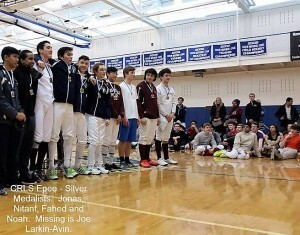 In the first year, the fledgling team was a mix of novice and experienced fencers from Moe Wen, Bay State Fencers, Boston Fencing Club and Olympia Fencing Center, who competed together to represent CRLS in a growing Massachusetts High School Fencing League. Over the next two years the team grew, mainly through word of mouth and an increasing desire among the student body to try a new sport, to a group of over 50 people of diverse ages and skill levels, in all three weapons, epee, foil and sabre. Falcon Fencing, the official fencing team of CRLS, is continuing its growth to today and we’re proud to say that Olympia Fencing Center is holding its ground in being state champions in either epee, foil or both, over these years. 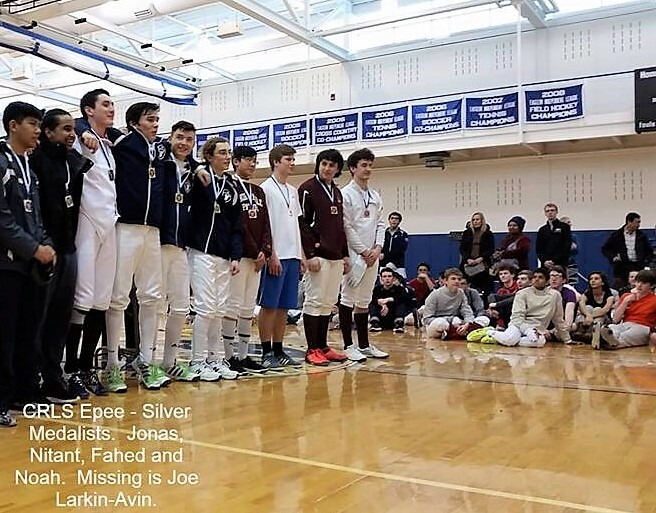 This entry was posted in Community Outreach and tagged crls, falcon fencing, fencing in Boston, fencing in Cambridge, fencing sport, fencing state champions, high school fencing, school fencing. Bookmark the permalink.